The fall semester has only just begun, but a quick look around campus and it is evident how much has changed. Particularly near and inside Eisenhower Campus Center with its Lottie expansion closing down the center sidewalk, and the new Falcon dining area showing off how much change some carpeting, new tables and chairs can make. In addition to this change is the renovated appearance of the Campus store. 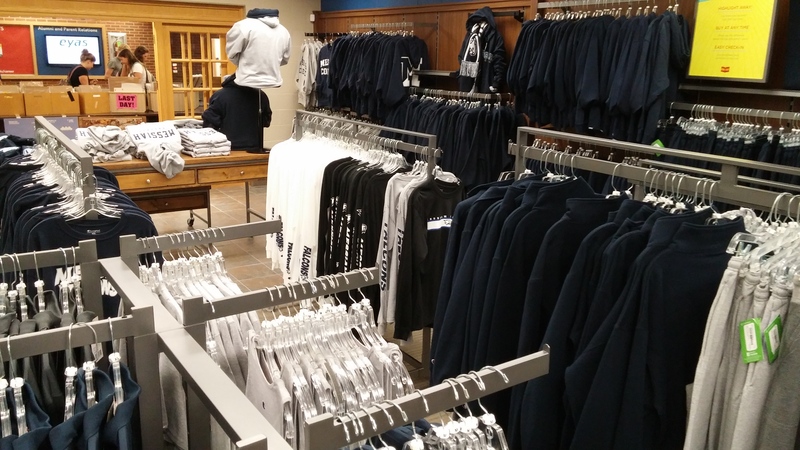 This new Campus store look is one component of a bigger overall change to the Campus Store. Between last semester and now, Messiah had been searching for an independent company to operate the Campus Store. There are a few companies that do this, but Messiah settled on Follett Higher Education Corporation. “Follett operates over 1200 campus stores across the US. 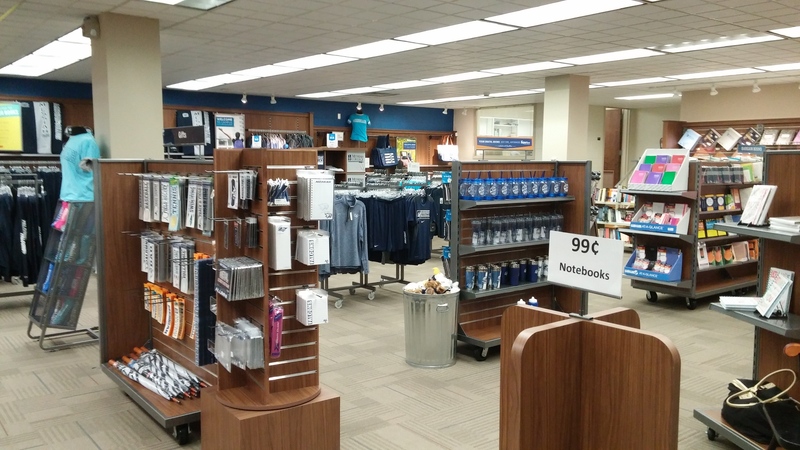 They are the largest owner of campus stores in the country,” says Candy Trille, Follett employee and new Campus Store manager. Ms. Trille also mentioned that the Campus Store renovation was a package deal with Follett. 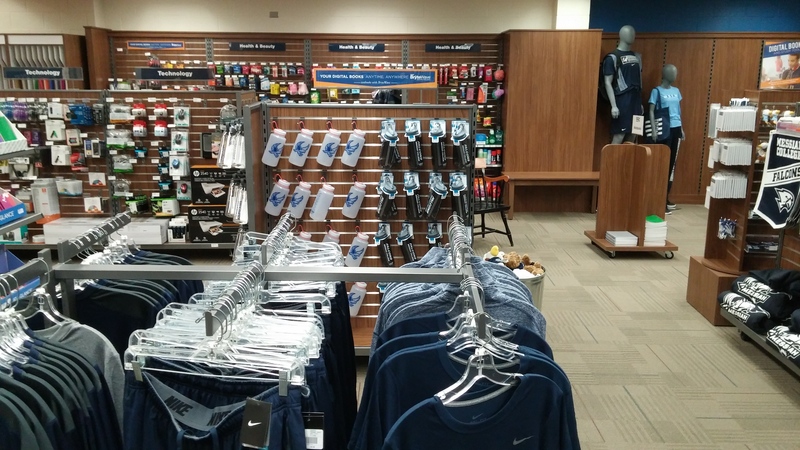 Follett’s involvement with the campus store came with a stipulation that the store would be renovated. In Messiah’s selection this probably played a part. “When Messiah was looking for someone to operate the store for them, they looked at many different candidates. They selected the one that fit their needs the best. Follett is a family-operated company and they have a core set of values that probably matched up well with Messiah’s values, and I think that was probably part of the selection as well as the enticement of the renovation,” explains Ms. Trille. 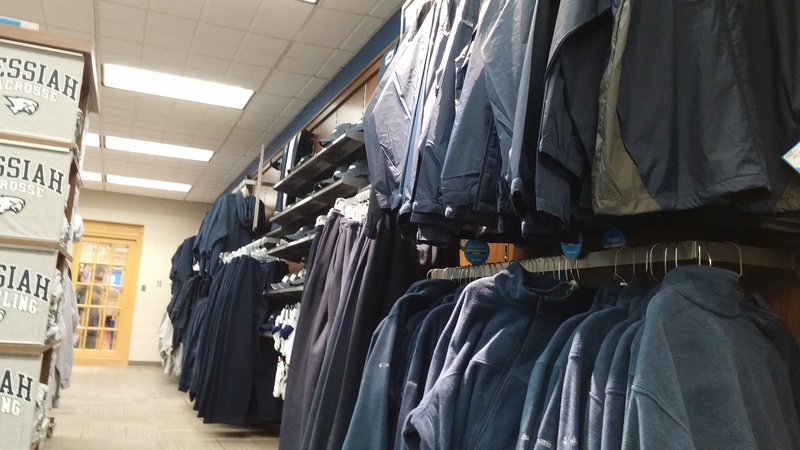 Not only has the look of the store changed, but also the employees. All employees of the Campus Store and the Textbook Express are Follett employees. Messiah students that work for the Campus Store or the Textbook Express are also now considered Follett employees as well. One such student, Hayden Kaye, worked for the Campus Store before the Follett acquisition and continues to work there now. At the end of the day, that is what this new transition is about. For example, one of Follett’s major achievements has been the implementation of the new textbook rental system. Students who wish to take advantage of this new cheap way to get books only need to make a Follett account at Follett’s website, look up there classes using a simple, step-by-step program, find their books and pick which location they should be shipped to: their home address or the Textbook Express. It is an exceedingly easy system that will make buying textbooks less stressful as well as less expensive – welcoming news to any student who is on a budget.